Surprisingly the only album by this short-lived English psychedelic quartet who recorded it in 1967 got its first release nearly 30 years later. 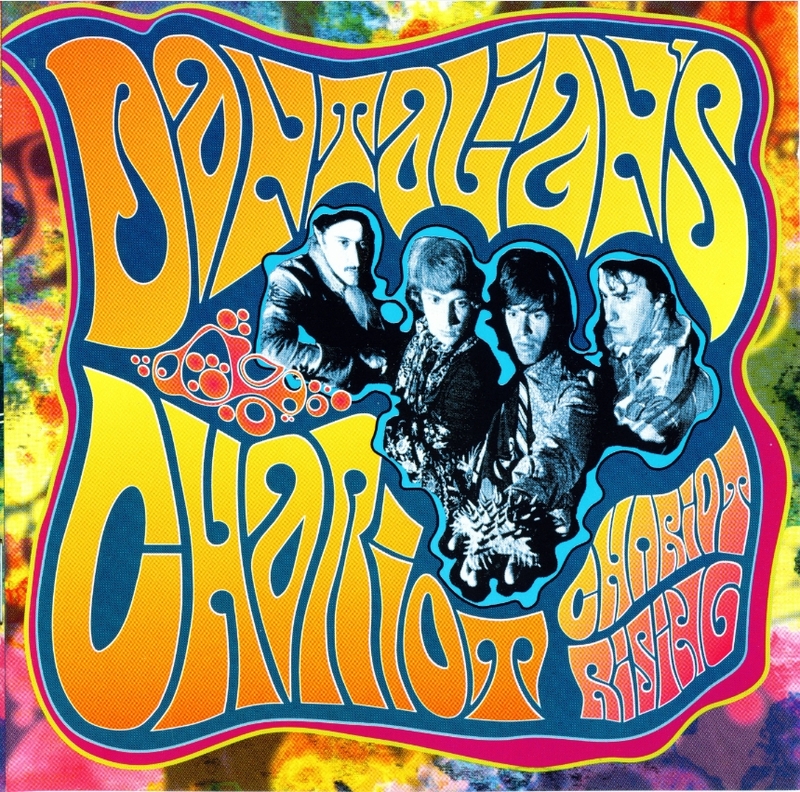 Dantalian’s Chariot was formed by lead singer / keyboard player Zoot Money in 1967 when the psychedelic rock scene made his Big Roll Band, a group playing jazz, soul and rhythm’n’blues look dated. Joining Money in Dantalian’s Chariot – the name is a reference to one of the demons in Hell in a 17th-century book on witchcraft “The Lesser Key of Solomon” – were drummer Colin Allen, bassist Pat Donaldson and, last but not least, guitarist Andy Somers. While the band gained a strong reputation for its live shows (featuring a psychedelic light show), made some studio recordings and released a single, the foursome never got the support they needed from their record labels and the band broke up in 1968. The musicians went their separate ways working with other people in various music genres (blues, R&B, folk rock) and while they all have had long careers in music, only Andy Somers really became a global household name in his own right as lead guitarist (under the name Andy Summers) with The Police. “Chariot Rising” is quite a good psychedelic pop recording of its time though it’s perhaps not a patch on many other classic psych pop and rock albums being released at the same time by bands like The Beatles and Pink Floyd (Syd Barrett-era). The first track “Madman Running Through the Fields” is a zippy little number with good tunes, a light playful flute and interesting effects. Police fans will spot sustained guitar chords in Somers’ playing that later appear in The Police’s “Walking on the Moon” song. The rather ordinary “World War Three” has some great guitar workouts and some zany organ melody. “This Island” is a pleasant atmospheric instrumental with a repeating sitar riff, the sound of crashing waves and organ drone. The album keeps going with fairly decent but not very memorable pop songs that give the impression of trying too hard to keep up with the trends of the late 1960s. The real gems of the album are to be found in Somers’ guitar and sitar work on tracks like “This Island” and “Soma” that would stand him in good stead on some of The Police’s spacier instrumental work, and instrumental passages featuring the flute as the dominant instrument. Zoot Money’s vocals seem ill-suited for singing pop songs, to say nothing of songs with embarrassingly earnest lyrics. Most of “Chariot Rising” really sounds like an album desperately jumping onto the psych pop bandwagon and only the first track “Madman Running …” and the two instrumental tracks save it from hazy psych pop oblivion.